How to Get a Divorce While in the Military: Who Keeps the Kids? Many divorcing couples struggle over issues involving their children and these struggles may be particularly difficult for military couples due to the unique conditions of military life. However, civilian state courts determine custody issues for military members in accordance with state laws, which may or may not have special provisions for military parents. Military parents face some of the same challenges that other parents face, but they also face possibilities of deployment, frequent transfers to bases in other states, short-notice travel and training, and odd or inconsistent work schedules. 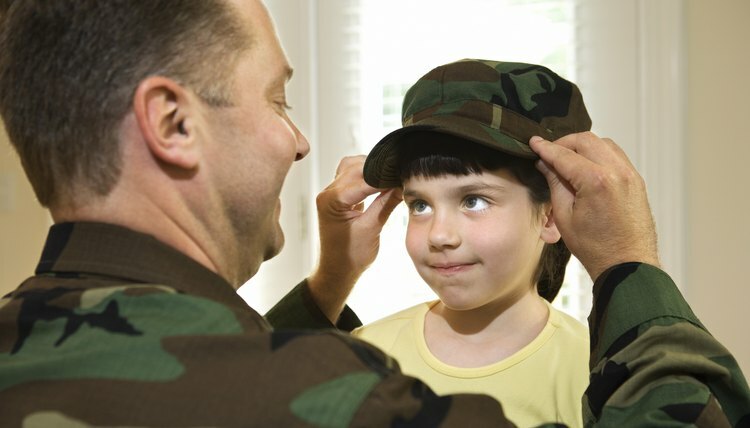 These unique aspects of military life may make it more difficult for a military parent to obtain custody since courts may not view such unpredictability as being in the best interests of the child. Additionally, if both parents are in the military, it is highly likely they will eventually be stationed far from each other and this may prompt more frequent visits to court to change custody orders. In July of 2012, the National Conference of Commissioners on Uniform State Laws approved the Uniform Deployed Parents Custody and Visitation Act (UDPCVA) to address some of the custody issues faced by military families, particularly those related to deployment. For example, UDPCVA states that a military parent’s absence from a state does not mean courts in that state lose jurisdiction over the case. However, each state must individually adopt this act before it becomes law in that state. Military members have protections in some aspects of civilian legal cases, including divorce and custody cases, under the provisions of the Servicemembers Civil Relief Act (SCRA), a federal law valid in all states. SCRA gives military parents the right to an automatic stay, or postponement, of their divorce or custody case when they cannot adequately prepare for the case or hearing because of military duty. The stay initially lasts for 90 days, but the judge can extend it for longer if he determines it appropriate. The Uniform Child Custody Jurisdiction and Enforcement Act (UCCJEA) is a uniform act that has been adopted by nearly every state and U.S. territory and addresses which courts have jurisdiction over a child custody case. Typically, a court gains jurisdiction over a child when the child has lived in the state for at least six months or has other significant contacts with the state. However, the UCCJEA provides a “vacuum” rule that allows a court to step in and fill a jurisdiction vacuum for cases involving children when no court has jurisdiction under traditional rules. For example, if children do not remain in any state long enough to form jurisdiction-related attachments because of a parent's relocation due to military service, UCCJEA allows another state — perhaps the state where the ex-spouse lives and where the child last resided — to exercise jurisdiction over the child’s case. Divorce is an anguishing process when you have children. Although sometimes overlooked, divorce can also be an anguishing process for grandparents, especially if the divorce restricts access to your son or daughter's children. In 2000, the Supreme Court wrestled with this issue and ratified the basic right of parents to make decisions about the upbringing of their children -- including who can see or visit their children. However, there are exceptions to this rule, and state legislatures and courts have taken widely differing positions regarding the rights of grandparents to successfully sue for visitation rights. This is especially true when parents are divorced or separated.